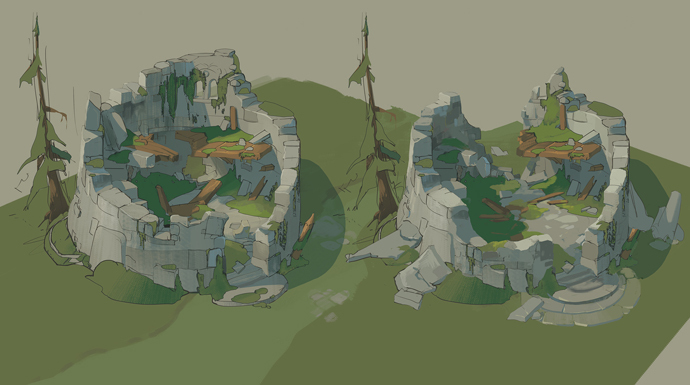 Weekly Roundup: Glimpse of the Highlands! Tune in again this week for tidbits of the Albion Online development and news! Final Beta has launched, but there is no time to rest! 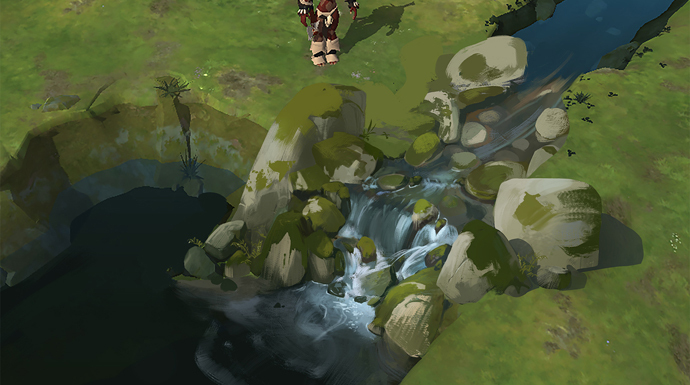 We are already working hard on creating the highlands, which is the next upcoming biome for Albion Online. They will form the transition between mountains and other biomes, and re-introduce the Keepers to the game! Check out some of the concept art made by our very own Conceptual Artist Daniel Alekow! Did you know that every weapon now has four passive spells you can choose from? Now you have even more option to customize your weapon towards your playstyle. When used wisely, these new abilities will help you make the difference on the battlefield! Find out about all different passives here! Do you have a hard time keeping up with Albion warfare and politics? Loweeeee is here to help, find out what has been happening in the first days of Final Beta in the very first Albion War Report. Can’t wait until next week to see more? Keep an eye on the Tales from the Trenches topic and follow us on Twitter. Let us know what you think of this week’s round-up in the comments below!